Granola bars are one of my favorite grab-n-go snack foods. They’re easy to pack, store well and can give you a much needed energy boost when you’re out. Plus, they tend to be a little bit healthier than something like a jumbo chocolate chip cookie, which is also a favorite treat. Add the dates into the food processor and process until they are completely crushed and form a thick paste. Roasting can be done in oven or on the stove top. 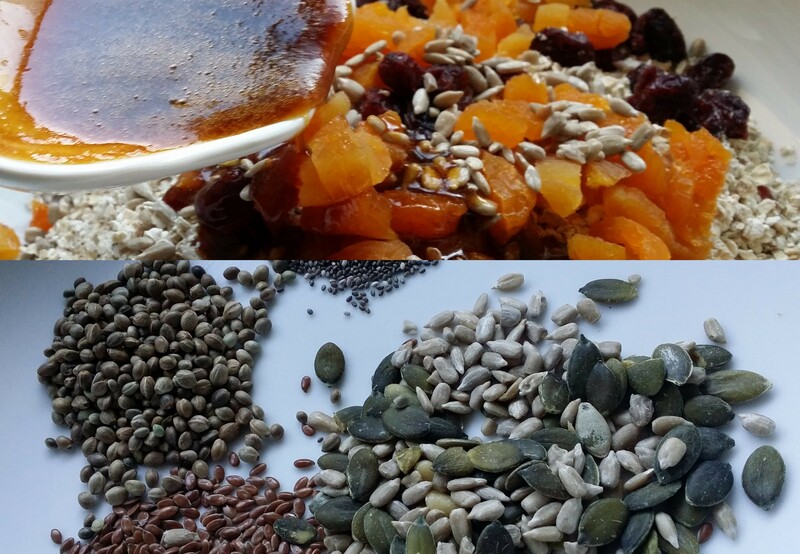 Dry roast the seeds in a pan over medium-high heat for 4-5 minutes/until slightly golden. Transfer to a bowl and again in the same pan roast oats for next 4-5 minutes oven medium-low heat and transfer to the bowl with seeds and set aside. Pre-heat the oven at 160deg C, line the baking tray with parchment paper/baking sheet and spread the oats, seeds (hemp seeds, sunflower seeds, pumpkin seeds, chia seeds, flaxseeds) for 8-10 minutes or until they are slightly golden. Once roasted transfer to a mixing bowl and set aside. In a saucepan, heat the sunflower spread and dates paste over low heat 4-5 minutes. Turn off the flame and then add agave nectar mix well. Pour into the mixing bowl where oats and seeds are places and mix well. Line a 8×8 baking pan with wax paper or plastic wrap and press the mixture into the pan until it’s flat and evenly distributed. And the chop to bars and serve or store in the airtight container in the refrigerator up to a week. Feel free to include the nuts if desired and combination of seeds can be personalised as per the taste. Honey/maple syrup can also be used alternatively to agave nectar. Posted on March 24, 2015, in Breakfast, Breakfast, Indian, International. Bookmark the permalink. 42 Comments. Yum!! Such a good alternative to the sugar-filled granola bars you can get in the store. I love that you have Chia seeds in here. They’re my current favorite super-food! Rightly said…I am making them regularly now as my family loved it…Chia seeds are a winner..
Laurena – Yes. Just for upcoming school holidays. Looks great, they remind me of what I have seen on UK bloggers sites and they are called flapjack. A wonderful healthful snack or eve a meal. Suzanne – flapjacks oh yes. I just love the bars and granola. I would much rather make it than buy it. It is so much better for you! Definitely going to make these. They sound delicious. 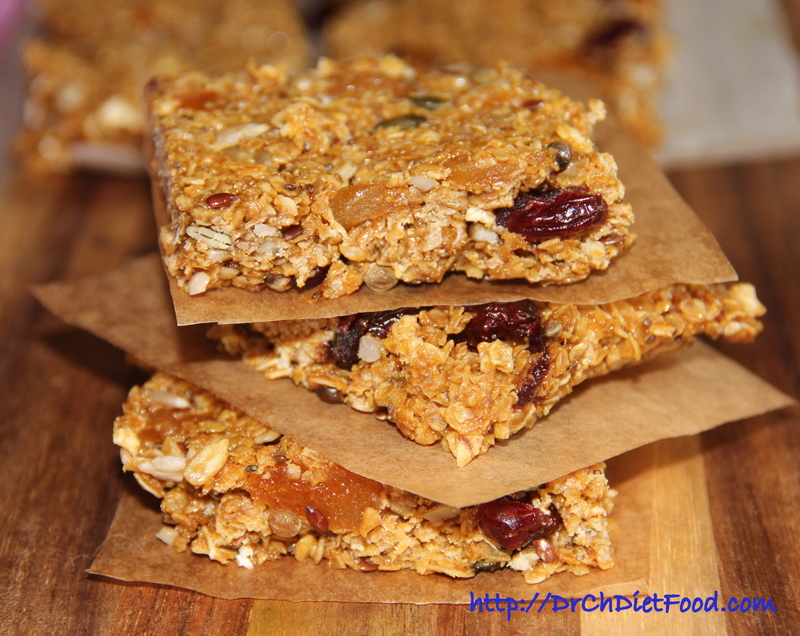 love DIY granola bars–these look great! They look delicious, and your top image is really well done. Nicely composed, and lit. Greetings Chitra, looks marvelous! Love this recipe my friend. I love your recipes Chitra, they are creative and fun!! !Have a great Day! super healthy snack…haven’t tried hemp seeds yet..used to have hemp milk though..Love to try this.. Thank you Amy… glad you liked it. .. good day. .
My pleasure…These bars cometogether very quickly and can be customised to suit for dietery needs. This is a wonderful recipe. I have tripping on home made granola. but bars is something I want to try. Your recipe is on my to-do list. Must try this. Love granola bars but never made them at home. Thanks for sharing!